Your browser’s bookmarks bar is useful for keeping your often-accessed links near at hand Creative Ways You Need to Try to Organize Your Bookmarks Creative Ways You Need to Try to Organize Your Bookmarks But, what really is the best way to save and organize bookmarks? Here are a few creative ways to do so, depending on your style and browser use. Read More . With a couple of quick modifications, you can make it even better. Here are three quick tips to get more out of it. When you add a site to the bookmarks bar, try leaving the name field blank. By default, the name is the page’s title, and this could be something really long and ugly. Leaving it blank means that only the icon remains, saving you a ton of space. If your browser forces you to enter a name, try one space or the first letter of the site’s name instead. Remember that you can bookmark any specific URL, not just a site’s main page. One big example is YouTube’s subscriptions page — you probably care more about what people you have subscribed to are uploading rather than what YouTube thinks you want to see. Or, try changing your Wikipedia bookmark to their random page to see something new every time you visit the site. 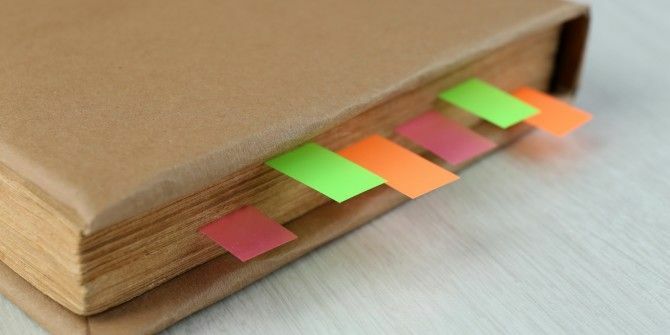 Make your bookmarks go exactly where you want them to! You don’t have to have your bookmarks bar on the screen permanently. In Chrome, you can press Ctrl + Shift + B to show or hide the bar. If you’re giving a presentation 5 Powerpoint Tips to Improve Your Presentation Skills Overnight 5 Powerpoint Tips to Improve Your Presentation Skills Overnight You step up to the podium. Your palms are sweaty, your heart is racing, and just as you're about to open your mouth and speak, your mind goes blank. Need help? Read More , you can hide it as you don’t need to show everyone your bookmarks. Or, if you’re working with a small computer, minimize the bookmarks bar when you don’t need it for more screen real estate. With some work, you can make your bookmarks bar more efficient 3 Steps To An Organized & Simplistic Chrome Bookmarks Bar 3 Steps To An Organized & Simplistic Chrome Bookmarks Bar Who doesn't love bookmarks? The promise to remember an interesting website and visit it later when you will have more time to enjoy it. The endeavor would be easier if you hadn't bookmarked several hundred... Read More and make browsing the Web even better! What tricks do you use for a better bookmarks bar? Let us know what we missed in the comments! I stopped using the Bookmarks Bar after I discovered Symbaloo and made it my homepage. My page has 84 'bookmarks' blocks and each block when clicked on can be sub-re-sized to hold up to 16 sub-blocks for 16 bookmarks each. 84 blocks X 16 sub-blocks = 1,344 bookmarks categorized on my homepage plus you can create additional titled tabs for different subjects like Tech, Videos, Food, News etc. #1. URL shortening and, #2. URL deciphering. The 'Folder' suggestion by richg wasn't enough for me. Good to hear there's yet another way! That sounds useful too and frees up your bookmarks bar for other things. I don't know about other browsers, but with Chrome, you can use folders on your bookmarks bar to sort things better. Great tip! Folders let you stack down instead of sideways on your bar and can give you even more space. * click and drag the site's favicon from the address bar to the bookmark bar to quickly save it. Useful sometimes if you want to use your bookmarks bar as a quick "read it later" section. Two great tips I also use! There wasn't enough room for them in this short post, but you're absolutely right. Bookmarklets are awesome and help you avoid overloading on extensions.